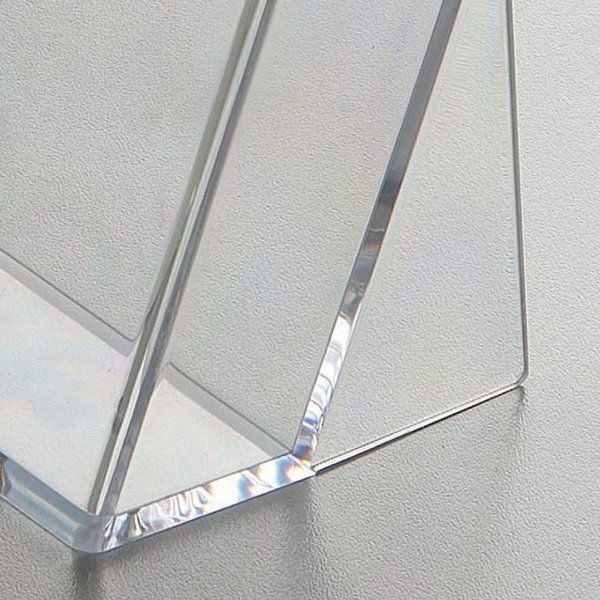 Highly resistant countertop displays. 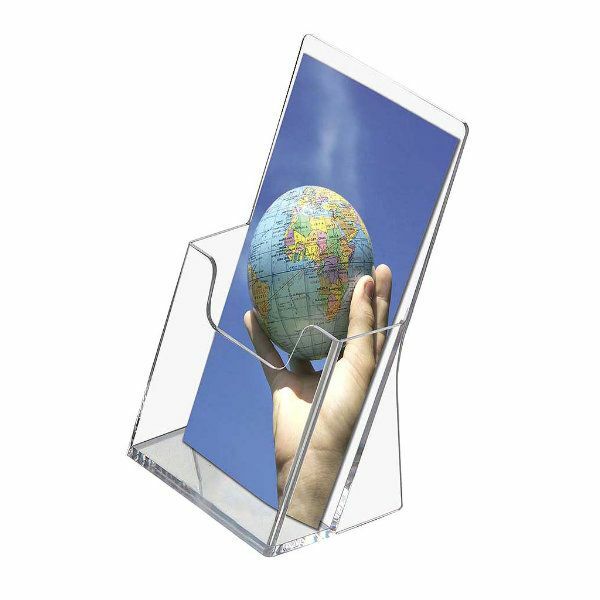 Suitable for the display of all types of documents such as catalogues, brochures, cards for every need, etc… These high quality injection molded Brochure Holder & Display can be screen printed with logo on your request. COUNTERTOP BROCHURE HOLDER Whether you are a realtor, a travel agent or a salesperson at a bank, you will be pleased to have this countertop holder or in other words desktop display that keeps your counter or desktop tidy and organized. 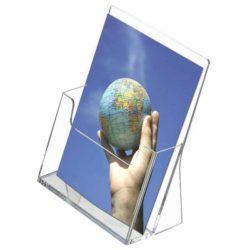 For stability, these countertop holders have a back support stand attached to the back; and for easy acess to the flyers, it has low cut-out front. 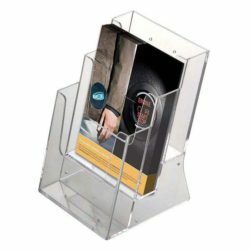 Just put your standard 4″x6″ flyers in this countertop holder and get rid of all the mess on your counter in an economic and neat way! 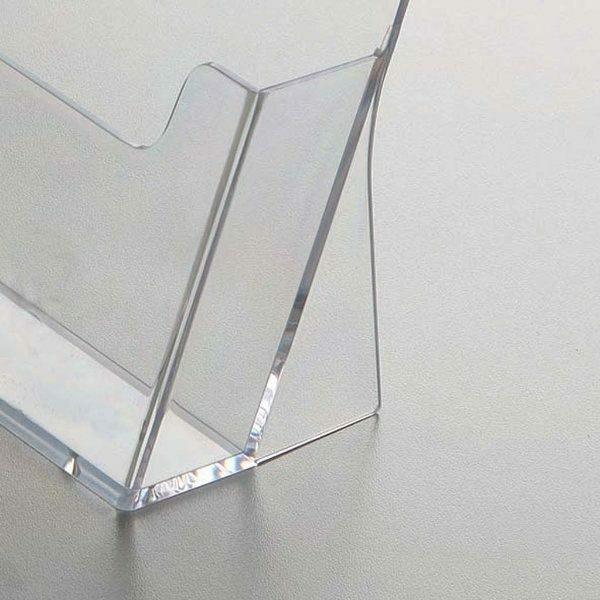 Imagine you own a gas station and you placed credit card application brochures in this clear acrylic sign display on the counter desk. You don’t have to offer the customers to get one. 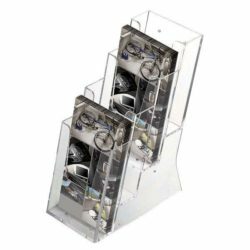 When they are at the counter to pay, they will surely see and get interested since the desktop display is clear and has low cut-out for maximum visibility. Clear countertop holders for countertops can be also used in lobby and reception areas. 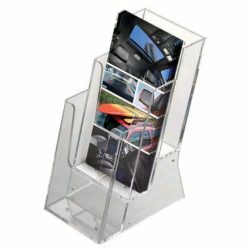 Help draw attention to local attractions or special promotions by placing these countertop displays in common areas.